We have entered the era of Smart Machines (Artificial Intelligence, powered by Cloud, Analytics, Social Networks and accessible through mobile devices and sensors) that provides great opportunity for individuals, communities, regions, countries and the planet; yet, it is disrupting traditional assumptions and beliefs about the certainty of organizations, employment, and the nature of work itself. The United States will fall short by five million workers with postsecondary education— at the current production rate —by 2020. The pace of change has accelerated; the scope of technological change is increasing. Unlike innovation in the past, the benefits of technological change are not being widely shared — real median wages have fallen behind growth in productivity and inequality has increased. i4j (The Innovation for Jobs Ecosystem) conducts conferences globally to bring together professionals from all sectors—corporate, entrepreneurs, government, education, NGO— to generate both understanding of the issues and practical approaches to address them. Vint Cerf: Government enabling and incentives are necessary for large efforts to succeed. Seat belt use adoption and smoking elimination are examples in changing positive social norm behavior. Curt Carlson: Reduce cost/time increase skills/job matching. How can we take the friction out of each system? Put together education, skills development and workers for learning fast: do, get feedback, multiple representations (continuous improvement), teams, big ideas, mentors (not just teachers), and create a complete system. Gary Bolles: Need for collective tissue to understand how to interconnect. Build on platforms for better ways to interconnect so they work more effectively. Convene a “big tent” meeting to address and adopt national funding and experimentation for innovation. All sectors should be included: entrepreneurs, investors, corporations, foundations, government, education, associations, and trade unions. The part that is missing is a process for people to self describe and self-connect with others. Need to scale independent work. Currently, there are nascent platforms. Those platforms need improve/expand to strongly encourage independent work effectively. Tess Gilman Posner: Change how people access wealth and income. Find a way for people who do valuable things to get compensated (such as home health care). John Hagel: Eco-systems work best when small groups of 10-15 people come together and are mobilized to do something and can tap into a broader infrastructure. “Cellular Church” enables groups to watch/learn from each other on a common platform. So small groups can collaborate to work on big problems and interests. Herman Gyr: Mobilize and engage participants through eco-systems. Each participant should be getting better, faster. Yassi Moghaddam: T-Shape Skills will be needed for the future workforce. People will need broad experience in industries, regions, and deep knowledge and mastery of a discipline with ability to work collaboratively with other disciplines, platform systems knowledge, and communications skills. My one big take-away from listening to participants at the conference: the need for a global technology platform, bringing all players together, so many innovative approaches to the Jobs/Skills/Unemployment problem can connect and develop participants to learn better, faster, cheaper for continuous job training, skills and mindset development for the emergent Smart Machines Economy. 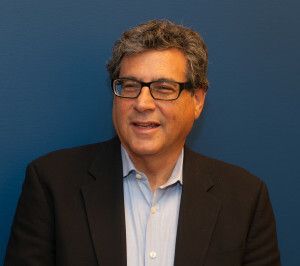 Jeff Saperstein is Co-Founder of CVC Group and a Career Transition Coach.